Global climate change is greatly impacting coastal communities in Louisiana. Hurricanes Rita and Katrina wrecked havoc on these communities in 2005 and many continued to feel the effects for years afterwards. Prior to these hurricanes, 67% of New Orleans’ (a major city in coastal Louisiana) population was African American, a quarter of the total population of the city lived in poverty, and 75% of that number was African American . While it is well known that the devastation cut across racial groups and economic classes, destroying hundreds of acres of farmland, hundreds of thousands of homes, and drowning many more acres of coastal land, there was relatively little flood damage in what researchers have termed the “White Teapot,” the geographical area along the natural levee of the Mississippi River where high elevations and low exposure to things such as industrial sites, railroads, unpaved roads, and dumps and where these wealthier populations had convenient access to public transportation and enjoyed good urban infrastructure . To the contrary, low-income, predominantly African-American rural communities in the chemical corridor known as “Cancer Alley” between New Orleans and Baton Rouge were stranded without access to transportation during the hurricanes, many poor and elderly . 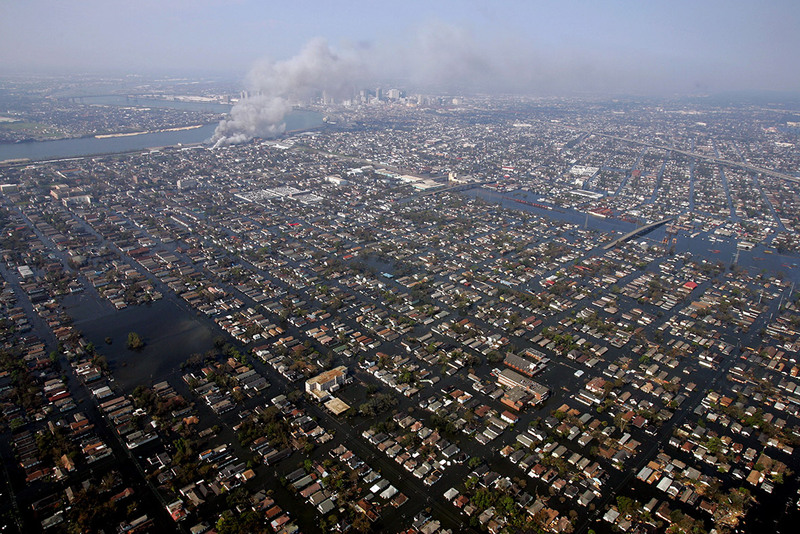 The National Commission on Environmental Justice on the Gulf Coast was formed to address the impact of Katrina and Rita on minority and low-income communities that historically have been burdened by environmental threats along the Gulf Coast. 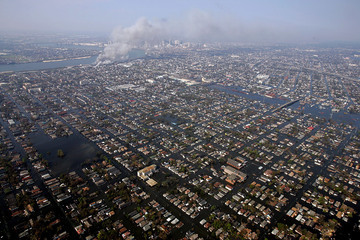 It estimated that 37,000 Louisiana residents were displaced after Hurricane Rita alone, and 110,000 houses of a total of 188,000 in New Orleans were flooded; 90,000 retained more than six feet of water for weeks during the late summer heat resulting in serious mold contamination. Crops sustained significant damage and the movement and processing of agricultural products was severely disrupted . Climate-related disasters in the south have been shown to outnumber those in other regions of the country. It is also true that the largest number of people who are less likely to rebound from these disasters as a result of social and economic disadvantages live in the South . Historical racial segregation resulted in patterns of settlement for many African Americans in less desirable, flood-prone areas and the isolation produced by federal housing and transportation policy was disastrous for over 105,000 residents in Orleans Parish’s flooded areas who lacked access to a car. 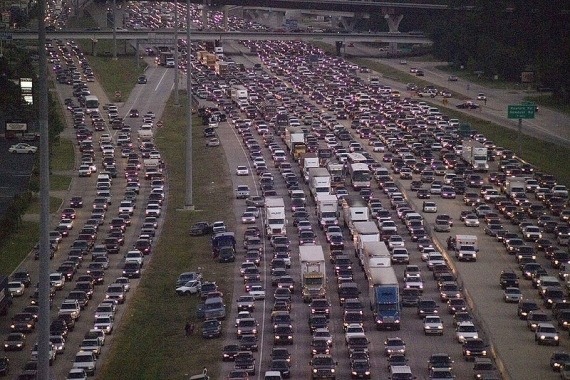 In fact, over one in three African Americans living in New Orleans lacked a vehicle prior to Hurricane Katrina and almost 60% of poor black households had no vehicle. Unfortunately, the City’s plan did not include use of its municipal buses or school buses for evacuation and the city did not take up Amtrak’s offer to evacuate people by rail just before the hurricane hit. 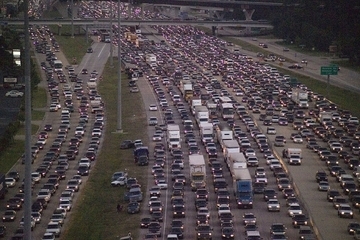 Nearly a week after Katrina, the city finalized its request for more than 1,300 buses to transport evacuees to safer locations and over the next several days the buses slowly arrived . Aside from transportation issues, pollution presented another major problem for these communities. A Superfund landfill site located in an African American neighborhood was submerged by the 2005 flooding, a site that sustained very little cleanup prior to the hurricanes and resulted in a much greater hazard post-flooding . 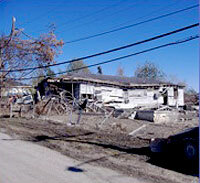 New Orleans had a large number of hazardous materials sites such as closed landfills. 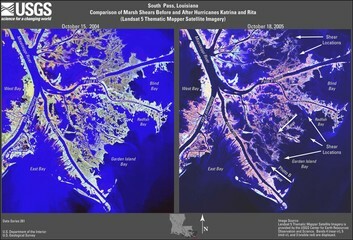 The EPA and the U.S. Coast Guard received hundreds of reports of Katrina related spills of petroleum or hazardous chemicals, with just eleven spills accounting for a total release of 7 million gallons of oil . 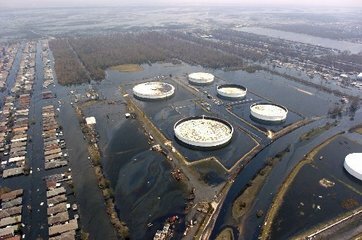 Despite the obvious contamination risks and already serious pollution problem posed by accidents during the storms, Republicans in the House of Representatives launched an effort to ease environmental rules on refineries, suspending environmental, workplace safety and contracting rules to spur recovery [3, 5]. In addition to hazardous sites, these communities had to deal with air quality issues following the flooding. As contaminated sediment dries, it can be breathed in as dust when disturbed. Demolition of structures (85% of which had regulated asbestos-containing materials) put residents at risk of exposure to this toxic substance. Thirdly, disposal of an estimated 22 million tons of disaster debris in Louisiana presented additional pollution concerns , especially for the third largest Vietnamese American population in America living in New Orleans where a landfill was built less than a mile from their community and was authorized to accept many tons of waste including moldy contents of gutted homes, household pesticides, and asbestos-containing materials . Many organizations formed as a result of the disproportionate impacts experienced by these communities during and after the hurricanes. One such organization, BISCO, clearly defined coastal Louisiana as a “regional environmental justice community” and has been working to protect the “unique gumbo of cultures” that has been endangered through processes of coastal land loss and sea level rise . BISCO agrees with the Louisiana Justice Institute’s acknowledgement of the prevalence of climate related disasters in the south, where the largest number of people less likely to rebound from these disasters live . Other organizations surrounding the EJ issues prevalent around the hurricanes include: Texas Environmental Justice Advocacy Services (TEJAS), Community In-Power Development Association (CIDA), Deep South Center for Environmental Justice (DSCEJ), North Gulfport Community Land Trust, Turkey Creek Community Initiatives, Bay Area Women's Coalition, and the Greater New Orleans Fair Housing Action Center. Also developing out of these EJ efforts was the Environmental Justice and Climate Change Initiative (EJCC), a coalition of 28 U.S. environmental justice, climate justice, religious, policy, and advocacy groups that formed to pressure the Bush Administration and Congress on climate change and the Kyoto Protocol. EJ organizations recognize that post Katrina and Rita failures and continued threats include a lack of stakeholder involvement in post-Katrina planning, a lack of support for those with limited English proficiency, environmental exposure and damage from pollutants, and FEMA trailers presenting unsafe conditions . Environmental practices including wetland degradation (primarily from industrial and agricultural practices) have led to reduced integrity of the coastal lands where many of these poor, minority communities live. Land loss in coastal Louisiana accounts for nearly 90% of the total coastal wetland loss in the continental United States. People living in the Gulf Coast depend on our natural resources for their livelihood . Greater protection of these resources and stronger disaster planning that considers these rural, poor, minority and elderly populations would help reduce the clear disparities that exist in coastal Louisiana environmental justice communities. Project Details 98 square miles of land changed to water in SW Louisiana after hurricanes Rita and Katrina; 119 square miles converted in SE Louisiana. 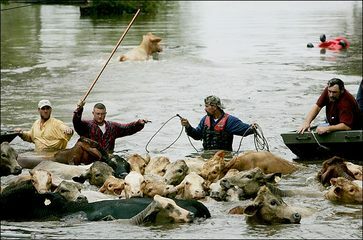 As many as 30,000 cattle were lost because of flooding, estimated total value of the loss ranged from $3 million to $32 million. For dairy farmers, the loss of power and transportation capability caused a predicted loss of $400,000 per week. 11 spills accounting for a total release of 7 million gallons of oil after Katrina. 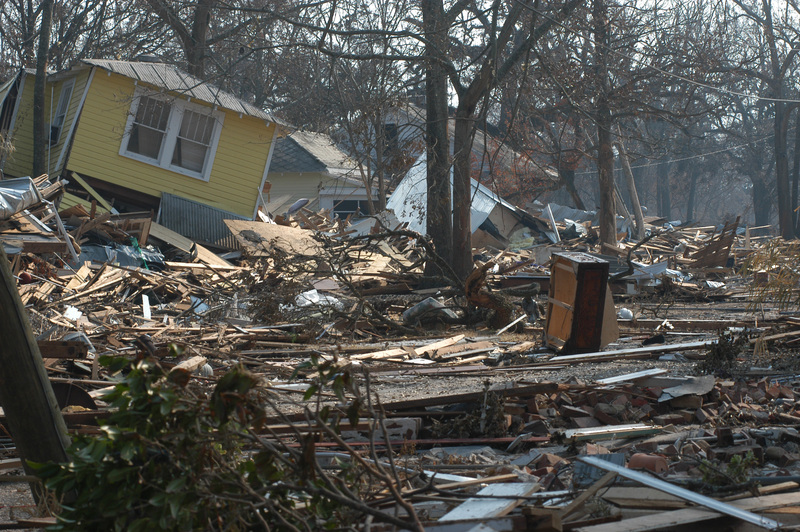 Disposal of 22 million tons (55 million cubic yards) of disaster debris in Louisiana. Estimated 1,740 metric tons of arsenic contained in the 12 million cubic meters of demolition wood debris. Why? Explain briefly. Thousands of people's homes remained flooded for weeks and even after the waters were removed, these people had no home to return to and were forced to find housing outside the city where they continued to be without access to adequate infrastructure or resources. The city failed to provide the necessary resources to these populations, even when offered assistance by Amtrak. Funding was slow and limited and environmental restoration was severely lacking following the storms. Recovery is still underway more than 10 years later. BISCO website - Our Environment: The Challenge, The Solution, Why BISCO?